After months of speculation, Nintendo has today revealed the launch date for the new 3DS handheld at a press conference in Tokyo. And that date, at least for the Japanese market, is February 26, 2011. 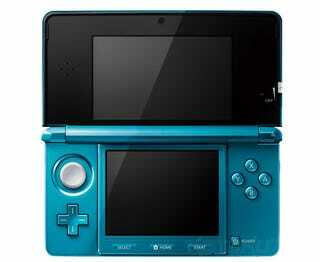 The 3DS will retail there for ¥25,000 (USD$300). Two colours will be available at launch: "Aqua Blue" and "Cosmos Black"
Release dates for the European and North American markets were not quite as specific, Nintendo saying that the handheld would be out in the West in March 2011. No pricing details for these regions were disclosed.